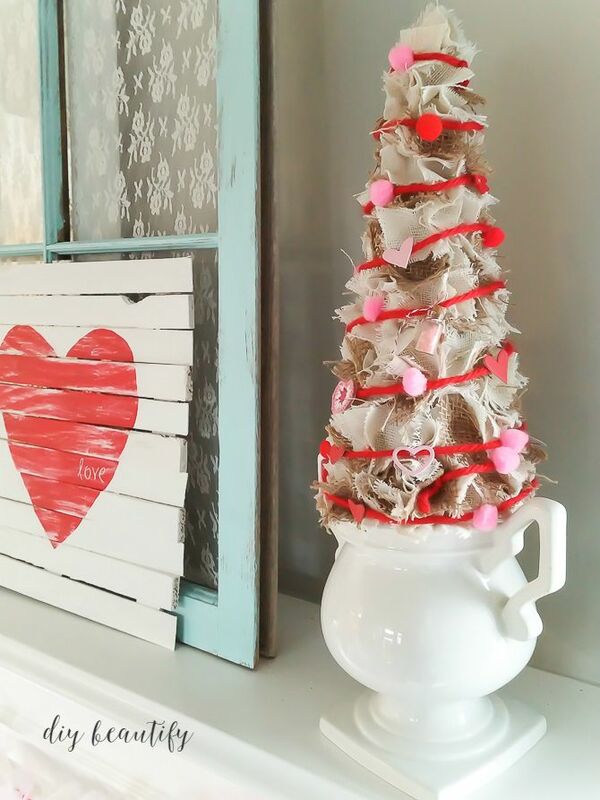 Last year, before I was a blogger, I probably would have hung a Valentine's wreath on the door, baked heart-shaped cookies for my kids and called it done. Now that I 'live' in blog-land and actually have followers (yay), I know that's just not gonna cut it! 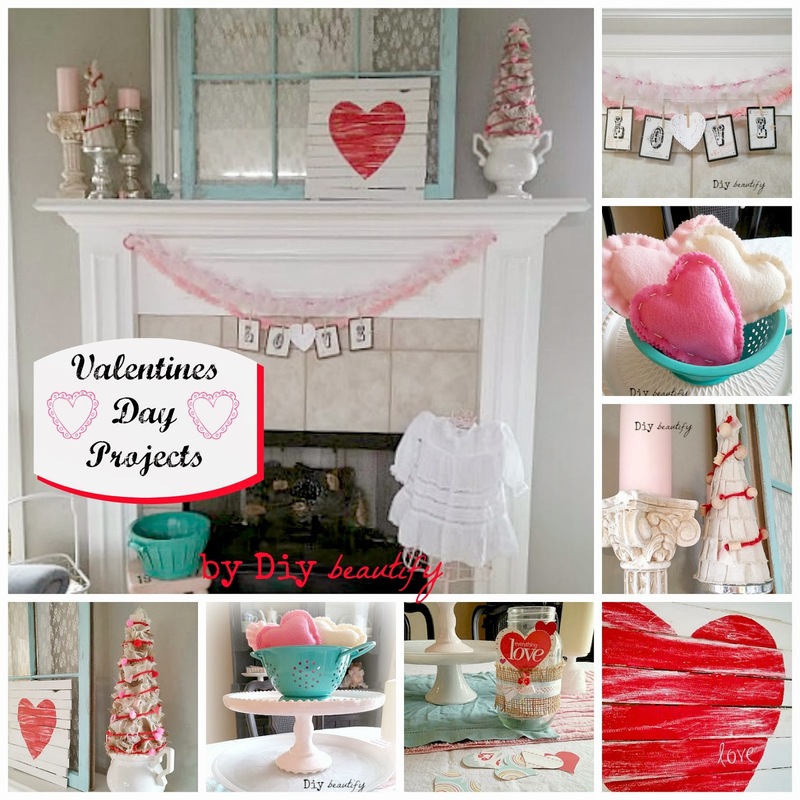 Soooo, I've been working really hard creating some simple Valentines projects that anyone can do. 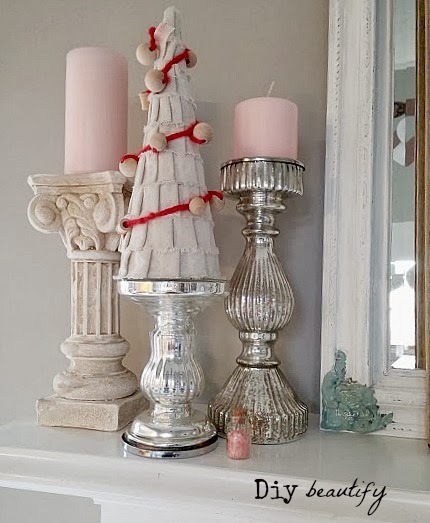 I used two different techniques to make these pretty fluffy/ruffled swags to drape across my mantle. I have been wanting to make a mini-pallet out of wood shims for some time. 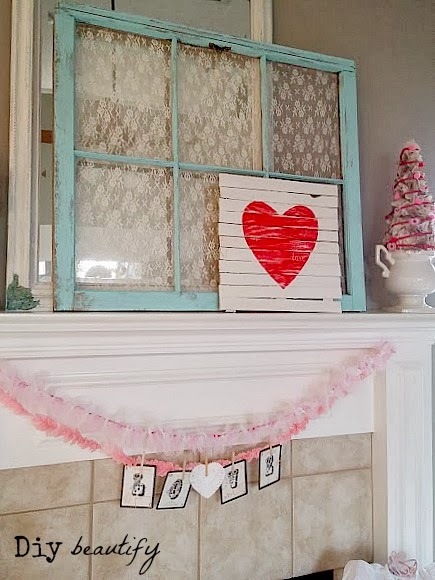 I finally got around to doing that and painted a heart on it and I love how it turned out...I also made a tiny chalkboard pallet. 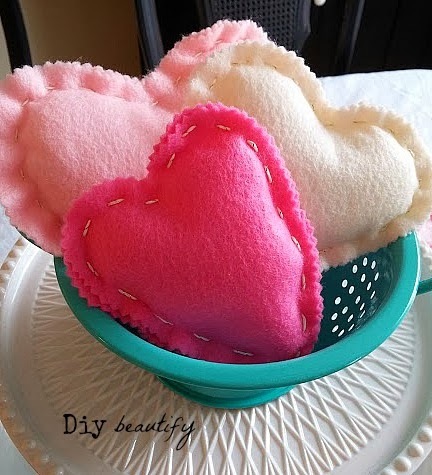 I made and stuffed these little felt hearts....and decided they'd look really cute in my aqua berry colander on the table as a centerpiece. 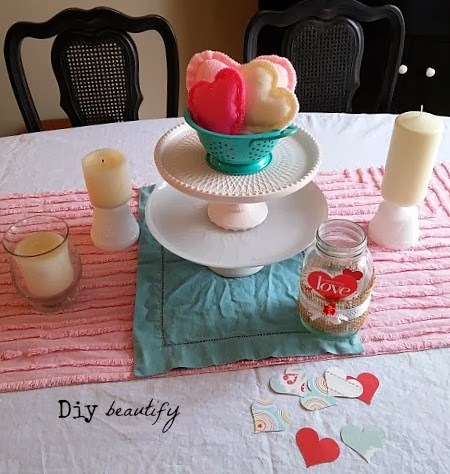 One thing always leads to another (that's just how I roll) and pretty soon I was cutting out paper hearts in red and aqua and loading up a mason jar....I'll tell you my idea for those in another post. To keep it from getting too girly, I incorporated touches of aqua wherever I could. 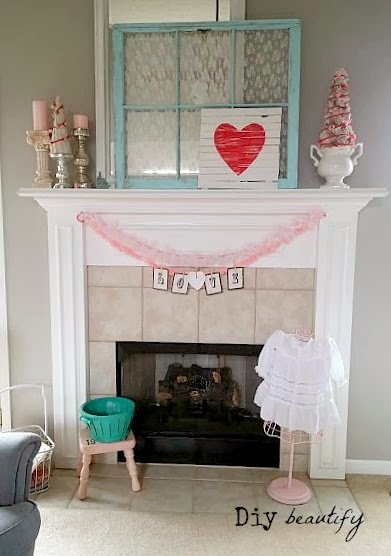 I shopped my house and pulled an old window from upstairs to use on my mantle, a bucket and other touches here and there. Red and aqua is a favorite color combo of mine but it's really great with pink as well. 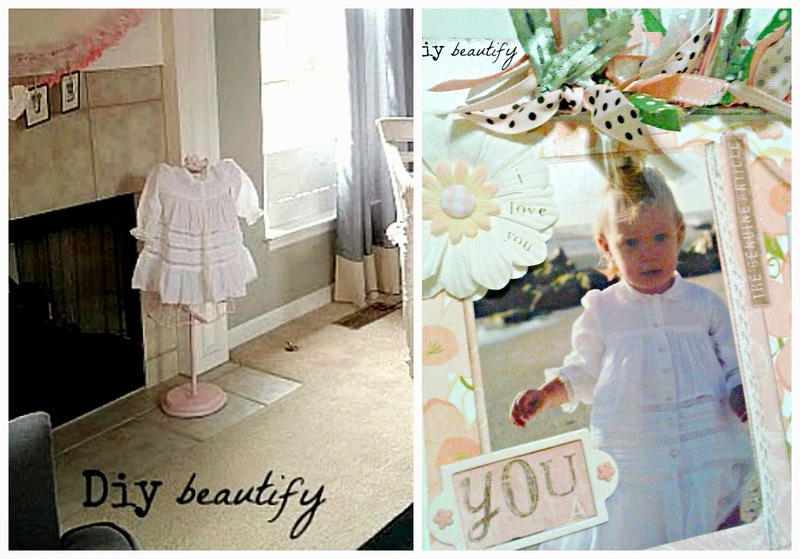 This small metal mannequin I bought at Home Goods years ago and spray painted pink for Little Diy's room was hung with a sweet little white dress that Little Diy wore when she was two. 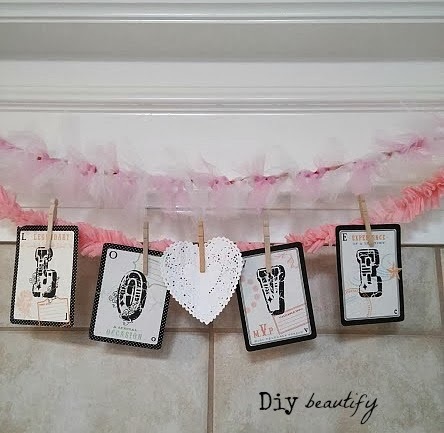 You may remember the dress from this post about how to decoupage a clipboard. I'm so glad I saved several of her sweetest little dresses! 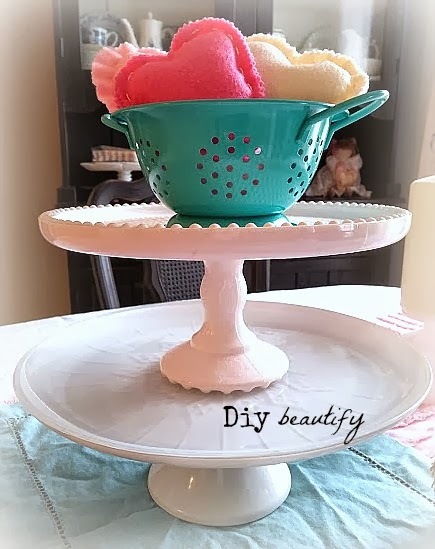 In the next few weeks I'll show you how to make all the projects that I've shown in this post so you can make them for your home too. I hope you'll be back for the tutorials! 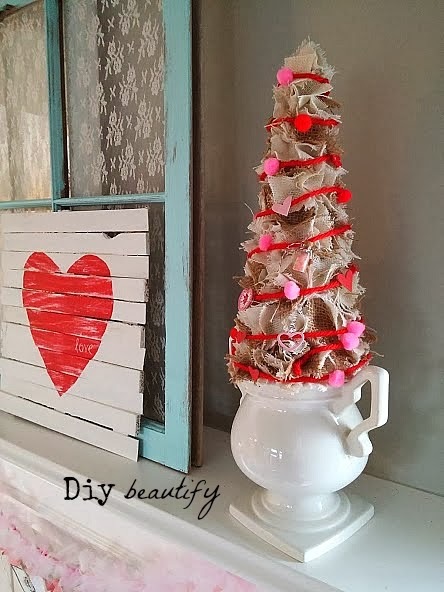 The trees look so cute and I love the little felt hearts. Thank you for all the ideas. 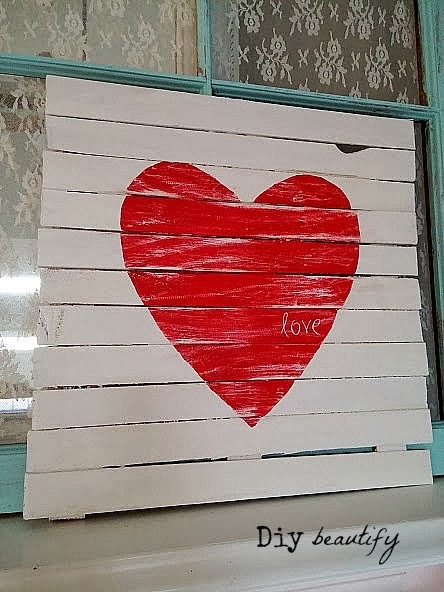 It all looks lovely - I really like that "heart" pallet.